I do like the graphic, but I really don’t think square grids are as bad as you’re making them out to be. 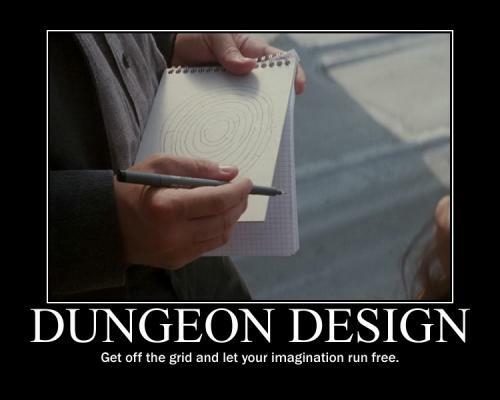 I certainly wouldn’t call them the “bane” of dungeon design. 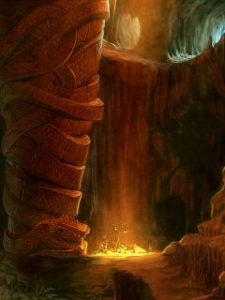 They’re helpful for organizing complicated systems like encounters and factions within an environment (dungeon or otherwise). Designing a dungeon without a grid is kind of a high-level concept, I don’t know if the average dungeon master would benefit from breaking with tradition unless they actually had a problem with squares — admittedly, some people have a problem with squares but I don’t think they represent the average GM.